I love the simple truth that Jesus taught his first disciples. You want to be recognized as a part of Jesus' family? 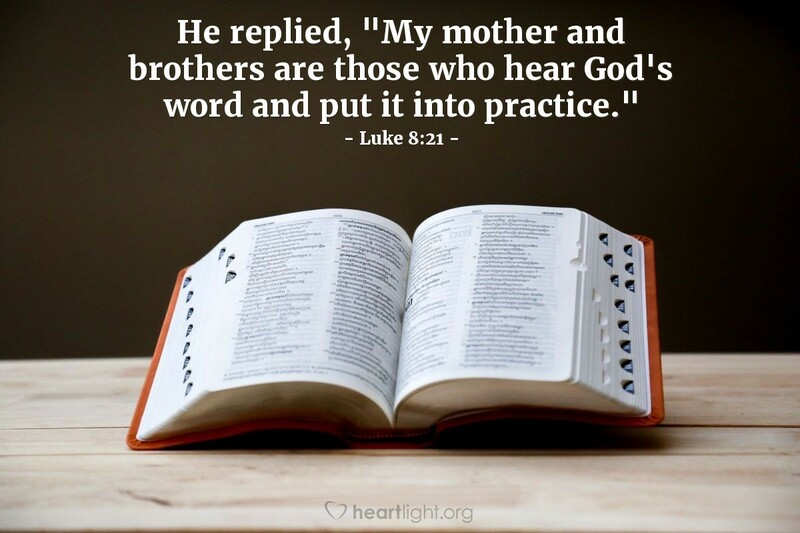 Obey his Father's word and live his Father's will! Bless me today, dear Heavenly Father, with the clarity to see the opportunities you have placed in my way to live in obedience to your will. However, dear Father, I don't want this clarity to be a fleeting thing. Help me be more aware of the opportunities you place in my path every day. In Jesus' name I pray. Amen.